The roster is downloaded for a team the first time any game is Imported. After that you need to force a roster re-sync if you have made changes. Go to the game you wish to score. Select the substitute (lineup change) button for the roster to update. 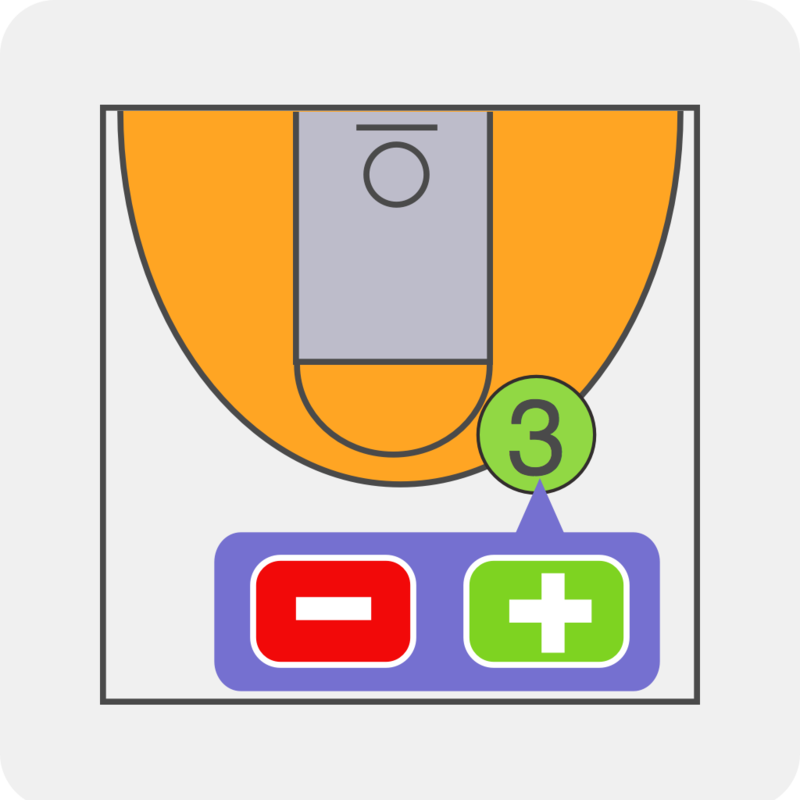 (The button withe the 3 players on it below the team name). When presented with the roster, go to the two player icon at the bottom left and select it to see the whole roster. In the full roster list, select the "Re-Sync" button in the upper right corner. You now have the latest roster (Note an internet connect is required for this step). All players are imported as active. Coaches are imported as inactive. You can change the player status by selecting the name which will toggle their status.